Keith Mitchell was mistaken for being named Kevin by NBC broadcaster Dan Hicks on Sunday. Before his win at the Honda Classic on Sunday, Keith Mitchell was an obscure name on the PGA Tour. His win at PGA National in Palm Beach Gardens was the first of his professional career in his second year on the Tour. 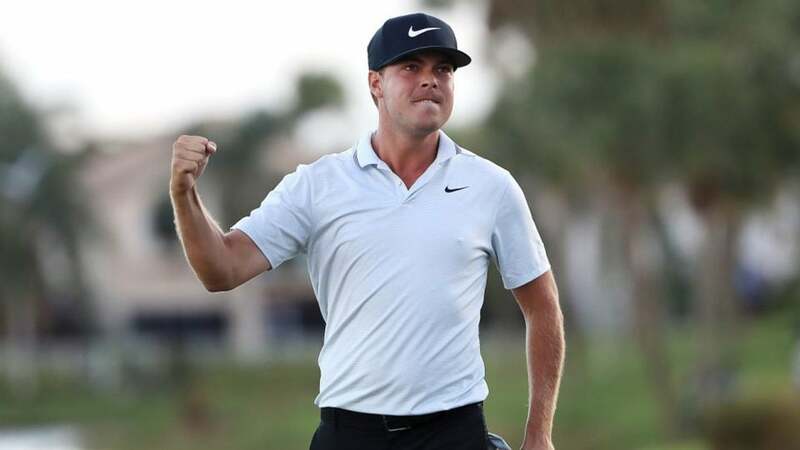 Mitchell, 27, joined the Tour in 2018 after spending three years on the Web.com Tour and PGA Tour Latinoamerica, where he went winless from 2015-17. Which might explain why NBC Sports broadcaster Dan Hicks mixed up Keith Mitchell’s first name on the 72nd hole on Sunday. As you can see from Mitchell’s tweet, he took the episode in stride, but Hicks’s goof underscores Mitchell’s relative anonymity. Another slight did rub Mitchell the wrong way. After his win, Mitchell said that a friend of his sent him a story from a local newspaper with a headline that an unknown golfer was leading the Honda after Friday’s second round. He said the article motivated him. After cooling making birdie on the 72nd hole to beat the likes Rickie Fowler and Brooks Koepka, KEITH Mitchell is no stranger on Tour now. Tiger Woods’ 2019 schedule: What tournament will Tiger Woods play next?